Savvy quiltshop owners and guild members know the value of lining up quality teachers for quilting workshops and lectures. A good teacher can offer so much to a quilter who is looking to enhance their skills. This is part four of our series that includes quilting workshops and lectures taught by some of our super talented and designers here at QuiltWoman.com. 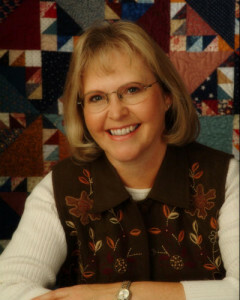 A long time quilter from Yamhill, Oregon, Peggy loves both designing and teaching using her quilting skills. Peggy teaches across the United States and Canada and got her start when she and her family lived in Alaska. 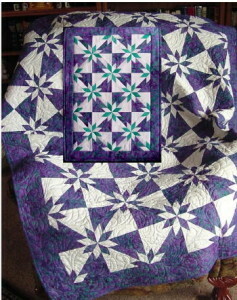 She states,”As with most beginning quilt classes we started with a sampler quilt. At that time we used cardboard templates and scissors. Thinking back it’s how our foremothers made quilts and it works. 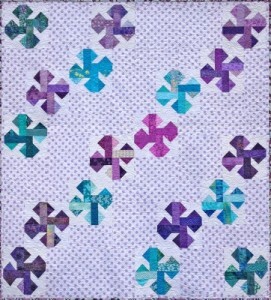 But, thank you to rotary cutters which have made our passion to create quilts easier.” Her Hunters Star (top) class is aimed at confident beginners who will learn how to get perfect points without cutting or piecing a diamond shape. It is an easy construction process and using accurate pressing creates sharp points. The “Rocky Roads to Kansas” pattern dates back to the late 1800’s. 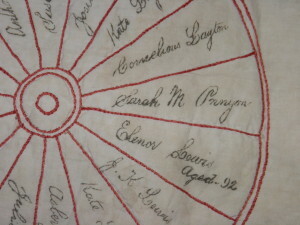 Peggy states “It was most likely named for the arduous journey the settlers made during their trip west.” In this class, students will make a quilt in fabrics representative of the time or celebrate the present with something new. The new quilting methods of freezer paper, paper piecing make this quilt an easy project. Peggy loves teaching people how to make quilts. 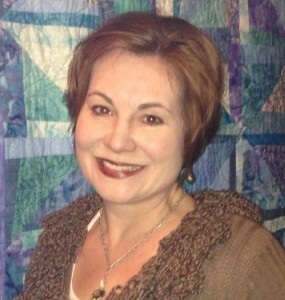 She states, “I love hanging out with quilters and sharing new patterns and ideas. It’s the camaraderie with the quilters that makes teaching so special. It’s a joy to be able to teach across the United States.” For more information about her quilting workshops and lectures, including testimonials from students who have taken her classes, visit her website. 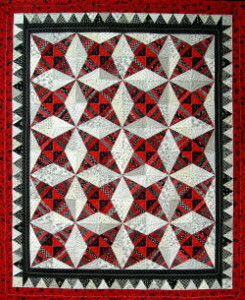 Beth has been quilting and designing for 19 years and is primarily self-taught. Now an active designer, lecturer, and teacher, Beth lives with her husband and three daughters in Pepperell, Massachusetts. She describes her design style as “fun over fuss” and loves bringing her lectures and workshops which focus on keeping the fun in quilt making to quilters all over the country. Beth says “inspired designs and relaxed attitude is what I am all about. Quilting is supposed to be fun, and I have taken it upon myself to keep it that way. Because I have a hard time getting in a box, my patterns feature a little bit of everything: innovative slicing and piecing techniques, vibrant colors, scrappy joyous fun, fanciful machine applique, fun embellishments, forgiving designs with few matching points, and whole lot of fun and inspiration – because that is what quilting should be about.” Go here, for more information on her quilting workshops and lectures. If you enjoyed reading about these teachers, see more of our blog posts featuring teachers who travel and deliver some amazing quilting workshops and lectures. This entry was posted in Designers, Guilds, QuiltWoman, workshops and tagged Beth Helfter, evapaige quilt designs, peggy gelbrich, yellow house quilter. Bookmark the permalink.